Kong is king…or at least he will be when his reign finally begins in 2016. Universal is getting back on a huge schedule of massive construction projects all around the park as summer slides over 2015. Even though the resort doesn’t have a major attraction opening (that we know of) for 2015, they are getting things ready all over the park for the huge summer crowds, including bringing a few new small experiences. 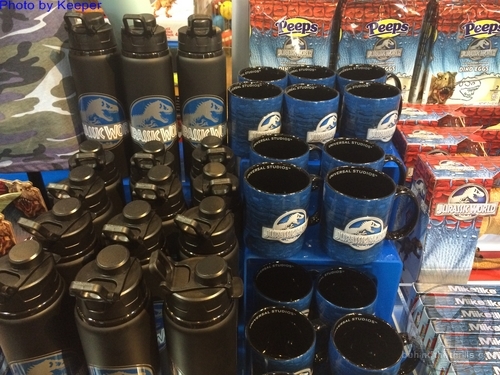 Summer also means huge movies, and you can’t get any bigger than Jurassic World, the park is fully rolling out some cool new merchandise for that film, as well as others. 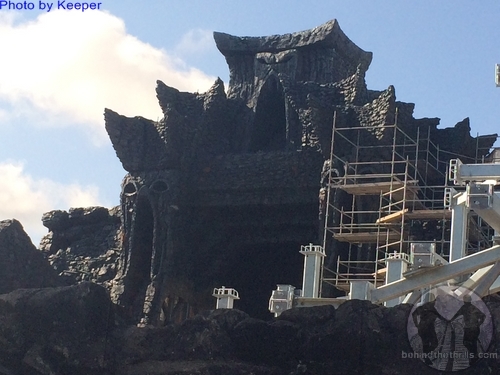 Skull Island is leering over the area, ominously. While the exterior looks as if it’s almost done, new metal work has popped up and is starting to take more of a shape around the area. The long faces look as if they could almost spit water, but we’ll have to wait and see for that. 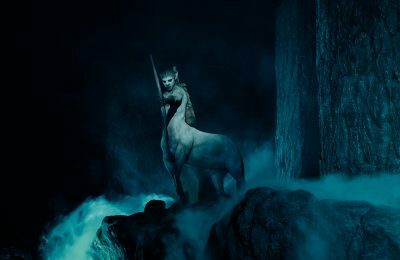 The new ride will mix huge screens, and amazing sets, after that not much is known. The ride is also not slated to begin operation until Summer of 2016, leaving a full year to taunt us with the ominous stares of these blank faces. Jurassic World is about to take over our world, as the all new movie hits theaters. The new film plays out as a direct sequel to Jurassic Park, and sees dream of John Hammond fully realized. 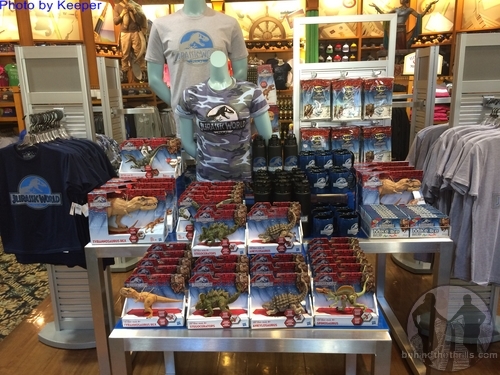 To celebrate, Universal has rolled tons of new merchandise in the Jurassic Park section of the park. Fun fact, parts of the movie were filmed at Universal Orlando, in the Jurassic Park section of the park. 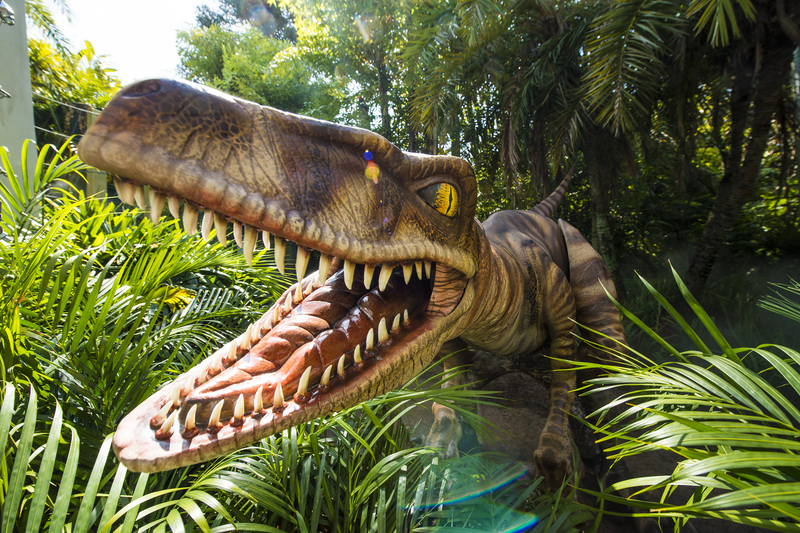 Velociraptors have taken over Jurassic Park at Universal Orlando Resort. Beginning Friday, May 22, 2015, guests have the chance to see these magnificent creatures face to face in an all-new experience: Raptor Encounter. 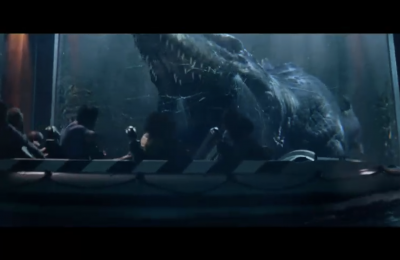 The encounter is located in UniversalÕs Islands of Adventure between Camp Jurassic and the Jurassic Park Discovery Center. Universal Orlando Resort is the ultimate vacation destination and home to two incredible theme parks, four magnificently themed on-site hotels and entertainment complex, Universal CityWalk. Friday, Universal opened up an all new mini-attraction, based pretty much on Jurassic World. Velociraptor Encounter let’s guests take pictures with “trained” velociraptors. 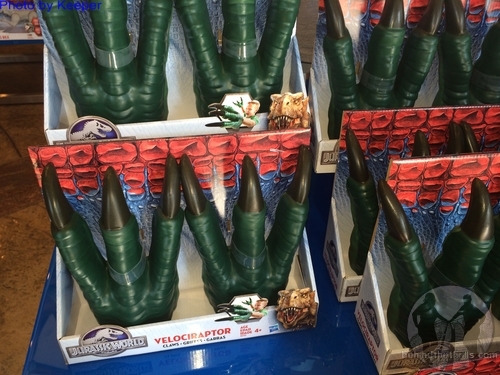 The raptors look to be a huge part of the new film, and the new area looks to be a huge success. We’re not sure if the area uses animatronics, or puppets, but the raptors do look awesome. 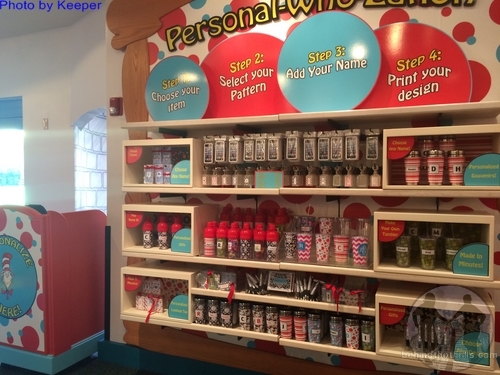 Also in Islands of Adventure’s Seuss Landing is a new personalization station…or should we say “personal-who-zation. Guests can get some whimsical, wild, Cat in the Hat and other Seuss items personalized while they wait. 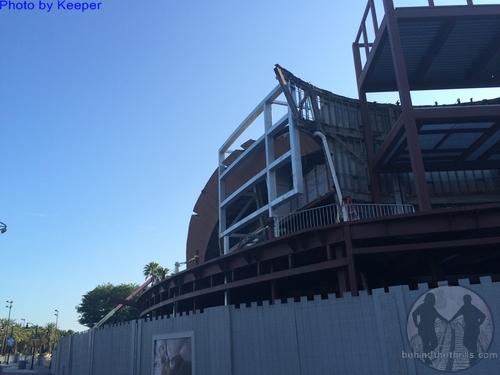 In CityWalk, work on the former NASCAR Grille continues, and now with even more visible progress. There is no word on exactly what the new venue will be, but many rumors point to a huge sports bar themed restaurant, with an onsite brewery. Disney has a restaurant with an onsite micro-brewery at their Boardwalk resort, which is a huge hit. If Universal were to do it, it would fast become a popular spot with locals, and the crowds after the parks close. We expect to see the work continue, and a possible announcement in the fall. 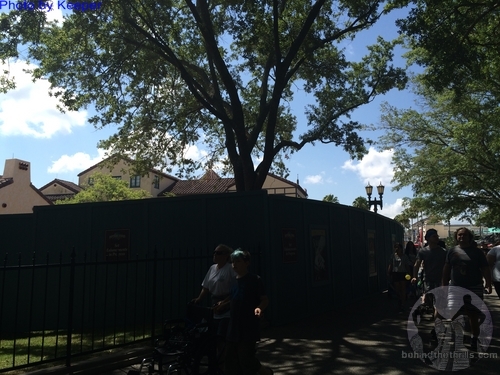 At Universal Studios Florida, construction keeps moving on the Garden of Allah Villas. While nothing official has been announced, rumors say it could be anything from a 25th anniversary museum, to even just a new state of the art media center. It could be duel purposed, and serve as both, but we aren’t likely to hear anything about it anytime soon. If it is going to be for a museum type attraction, it will most likely be revealed around Horror Nights…and that’s a BIG IF. 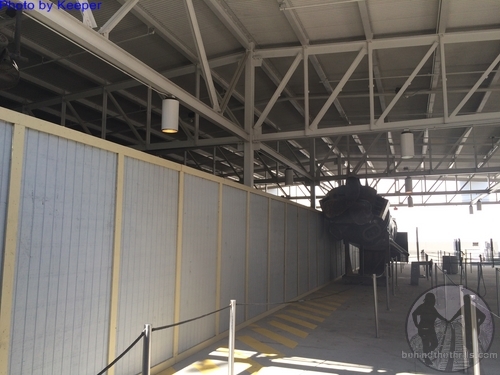 Speaking of Horror Nights, the first signs of construction have been spotted. This year marks a huge occasion, as the park is celebrating 25 years of horror. The disaster extended queue is a long running area for house locations. In other related news, permits have been filed on many of the houses, which means that construction is likely in full swing. Of course, you won’t see much of it, but guests will be able to see everything come September 18th. 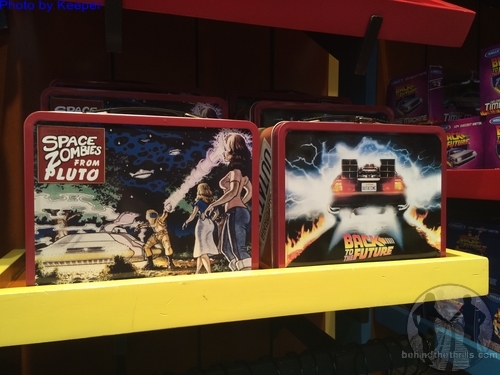 New merchandise is popping up everywhere at Universal Studios, with the coolest stuff being in the Film Vault. 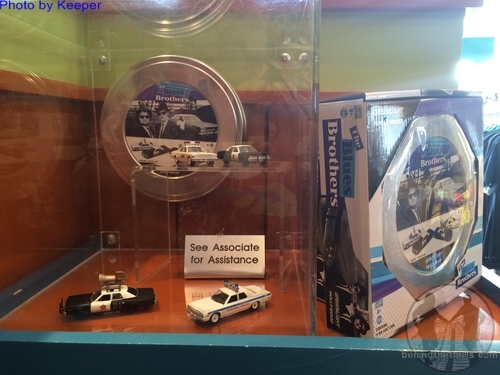 New merchandise includes some awesome Blues Brothers collectibles, as well as some killer Back to the Future lunchboxes. 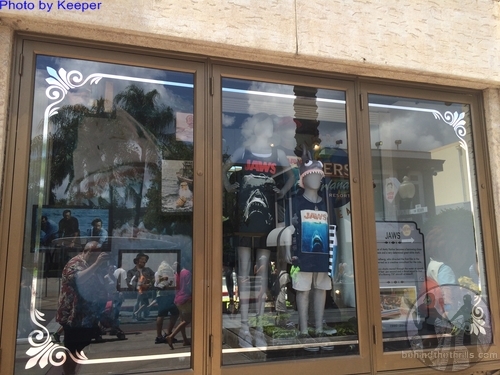 Popping up in the windows of gift shops are tributes to Universal Studios Florida’s past. Great displays, along with some cool merchandise are all celebrating 25 years of Universal Studios Florida. Our favorite is of course the JAWS window, which has some shirts, pictures and a plaque telling about the old attraction. Summer is just starting to heat up at Universal Orlando, and we could hear about some huge celebrations for the 25th anniversary. 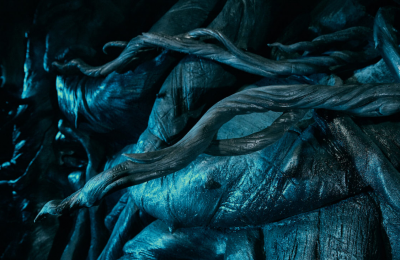 Universal Orlando has been on a huge roll with attractions, events and special celebrations lately, that it seems unlikely they’ll let their anniversary go by without some major fanfare. Next week will see the continuation of the 25th Anniversary Concert Series, with Pitbull, and the Today Show. Stay tuned for more from Universal Orlando, and be sure to get social with us on Facebook,and follow along with us on Twitter @BehindThrills for the latest updates!